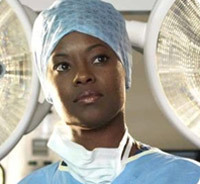 Miss Samantha Tross is a Consultant Orthopaedic Surgeon at Ealing hospital NHS Trust. She graduated from University College and Middlesex School of Medicine in 1992. She trained on the South East Thames (Guy's and St. Thomas's) rotation. Miss Tross has had Fellowship Training in Lower Limb Arthroplasty from the world renowned Orthopaedic and Arthritic Institute, part of Sunnybrook and Women's College, Toronto, CANADA, as well as the Peninsula Orthopaedic Institute in Sydney, Australia.